Inventors often go through a lot of loops just to get their inventions recognized. So, it’s a nice change of pace that from time to time their efforts get properly rewarded. A recent acknowledgement of achievement goes to a team of innovators led by Indian-American Ajay Bhatt. This team of inventors currently work for the U.S.-based industry giant Intel and are responsible for one of the most widely used components in technology today. The honor for Intel’s team of inventors is bestowed by none other than the European Union, who has recognized the significant contribution of Ajay Bhatt’s team to what we know of technology today. The achievement honored? The invention and development of the Universal Serial Bus (USB) technology. 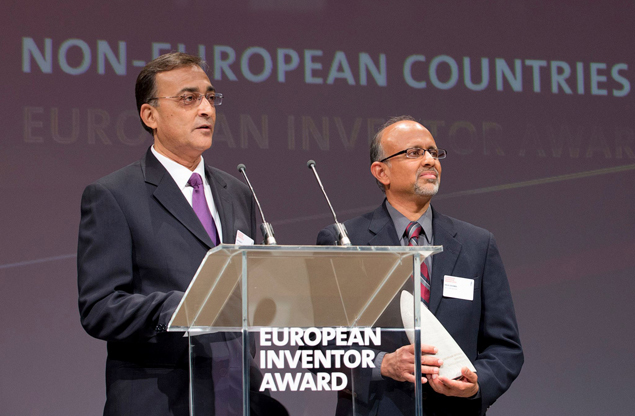 For inventing the most widely used bus interface in the world, Ajay Bhatt and his team of inventors have received the European Inventor Award 2013 from the European Patent Office. Ajay Bhatt’s team is made up of four other inventors, Bala Sudarshan Cadambi, Jeff Morriss, Shaun Knoll, and Shelagh Callahan. The American team received the award, which is awarded to inventors who originate from countries outside of Europe, just this last week of May. The ceremonies for the award took place in the city of Amsterdam in Belgium at the Beurs van Berlage. The award ceremony had a distinguished air to it; its list of about 500 guests included Princess Beatrix of the Netherlands and European Commissioner for Internal Market and Services Michel Barnier. The invention and development of USB technology has been far-reaching. The USB interface has allowed the widespread compatibility between computers and their peripherals and accessories. In addition, USB technology has also ensured that developing hardware and software remains streamlined for developers and programmers. 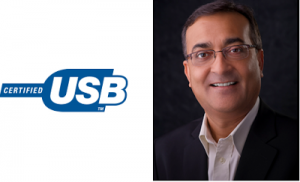 Aside from the invention of the Universal Serial Bus technology, Ajay Bhatt has also contributed in some form to the development of PCI Express and the Accelerated Graphics Port. Since his entry into Intel in 1990, he has applied for and received 31 US patents for his inventions. As for the European Inventor Award that Ajay Bhatt and his team received, it is given out every year by the European Patent Office. The office is a subsidized part of the European Union, who actively recognizes the contribution of inventors to social, economic, and technological advancements in Europe. Unlike other awards in the field, the European Inventor Award does not come with any monetary prize. This entry was posted in Intel and tagged ajay bhatt, european union, Intel, universal serial bus, USB. Bookmark the permalink.